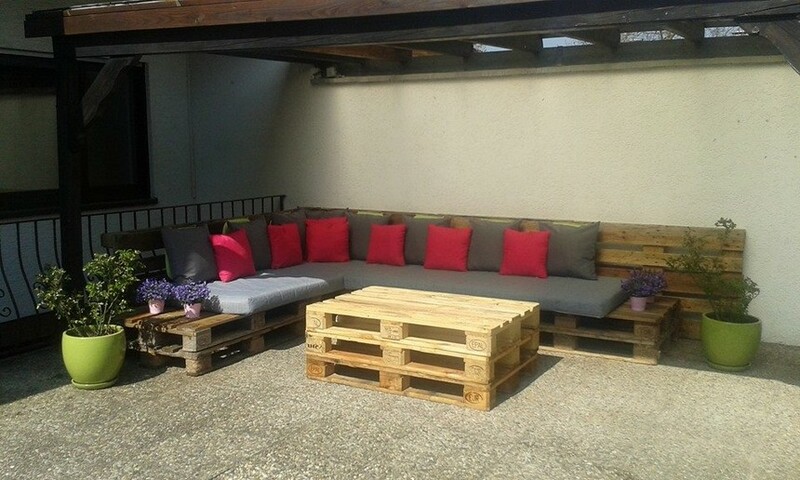 Whenever it comes to some furniture range especially for the outdoor, the first thing that comes to my mind is a wooden pallet repurposed couch that is simply huge, it has got a very wide spread sitting space, it can accommodate a number of people at the same time, plus the outlook is also good. And once we have decided a wooden couch then I think the best and most appropriate shape for such huge couch would again be the L shaped couch. This apparently seems like one single unit but at the same time it offers a lot of accommodation space capturing a lot of place. 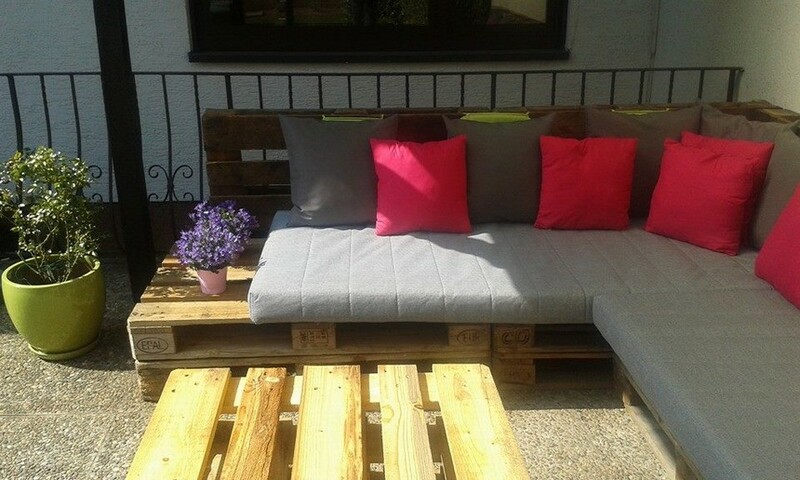 As we always focus on making some detailed and comprehensive wooden pallet furniture ranges, so maintaining the same legacy we have not left the wooden pallet couch alone but we have also bothered to create a matching pallet wood coffee table. 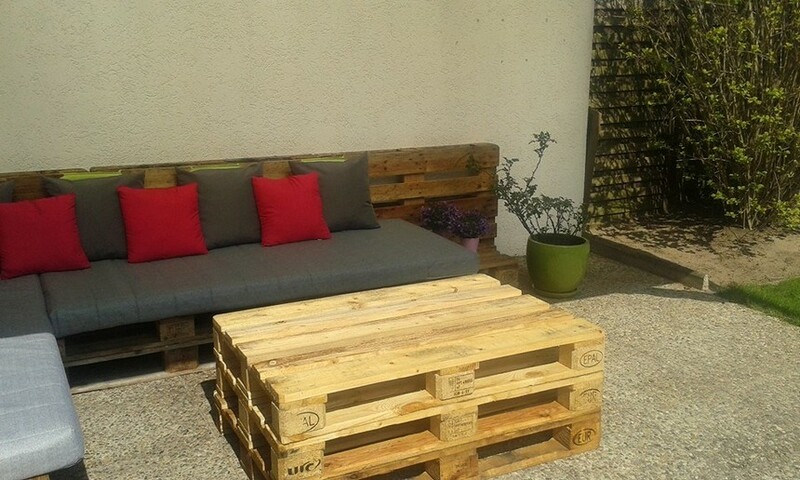 So let’s get started from this very pallet wood coffee table. The most prominent aspect of this pallet wood creation is its rustic appearance, that means that we have left it unstained deliberately. This could have many potential reasons in the back ground but major one is that such rustic furniture articles look really cool especially in outdoors. Seeing the coffee table from the other angle, we can realize that the design is also kept pretty simple, maybe we didn’t want to involve much complicated patterns and methods and to keep the whole furniture range pretty handy and easy to recycle. 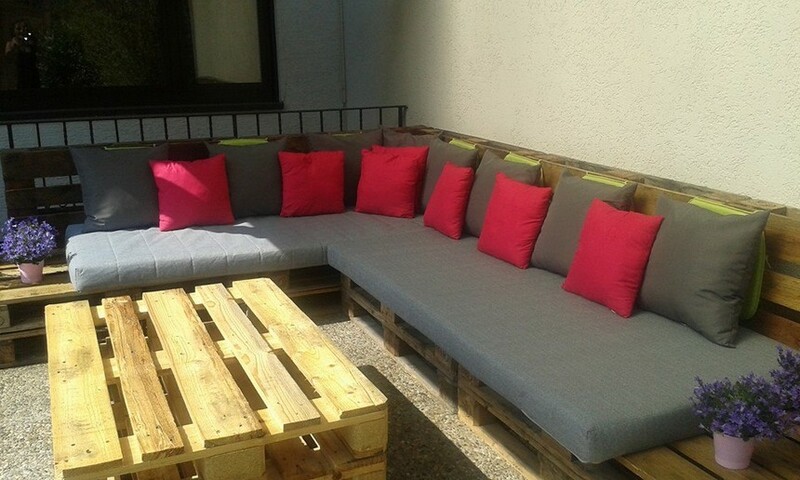 On the other hand we have got the main article of this furniture range and that is the pallet wood L shaped couch. It is as big and gigantic as expected earlier as it was meant to accommodate a number of people at same time so we did the job as we decided. 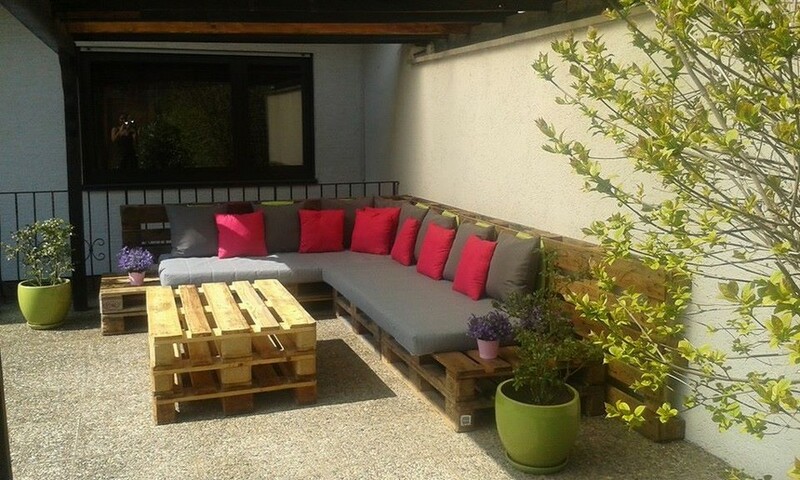 In the end we have used some very fine and comfortable mattresses and cushion plus we also paid heed to the color combination so we decided to pick some very shocking shades that would complement the rusticity of the whole wooden pallet furniture range with their shocking shade.